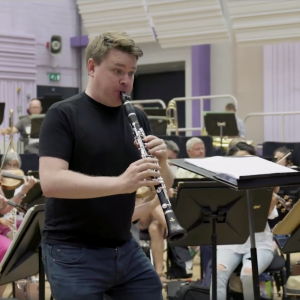 We’re really excited to be partnering with the BBC Phil over their coming season, creating several pieces of video content for their social media accounts. To begin with, they asked us to come along to one of their Proms at the Royal Albert Hall. They needed an interview to be uploaded to Facebook as soon as possible on the day of their concert, to help promote the radio broadcast. We turned this around in a couple of hours. You can watch the video on the BBC Philharmonic’s Facebook page.